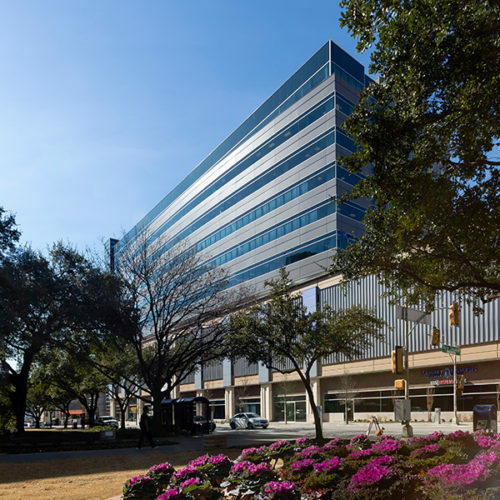 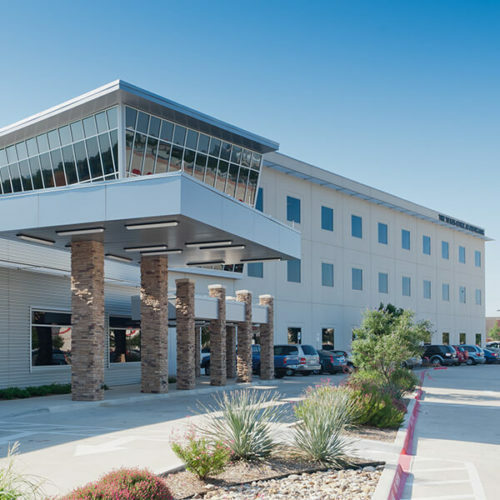 SpineTeam Texas provides full service back and neck pain including diagnostic testing, injections, surgery and physical therapy. 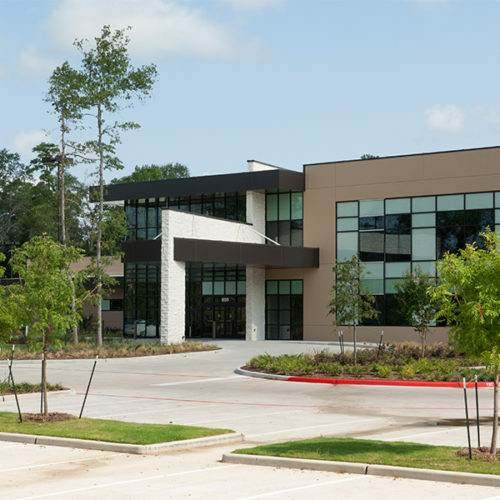 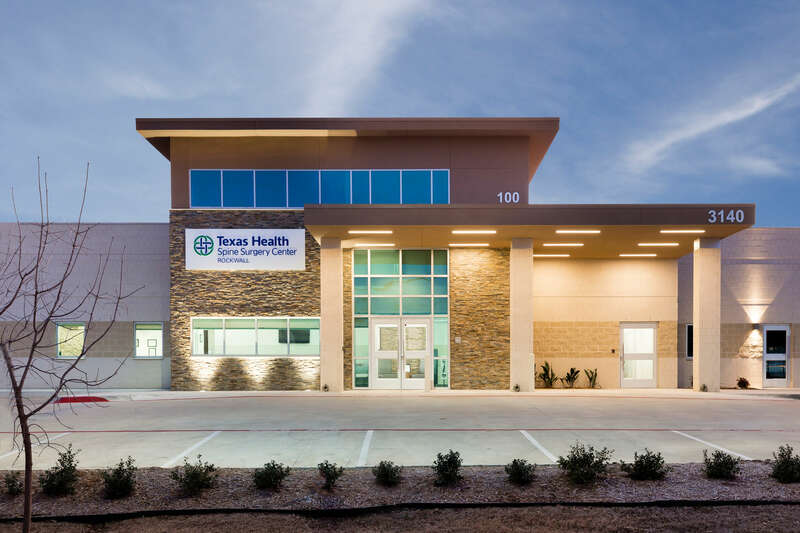 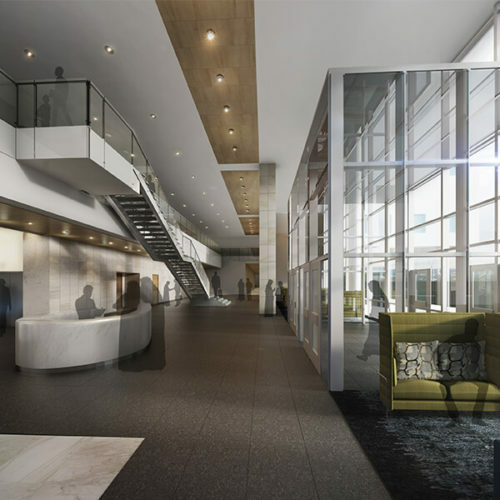 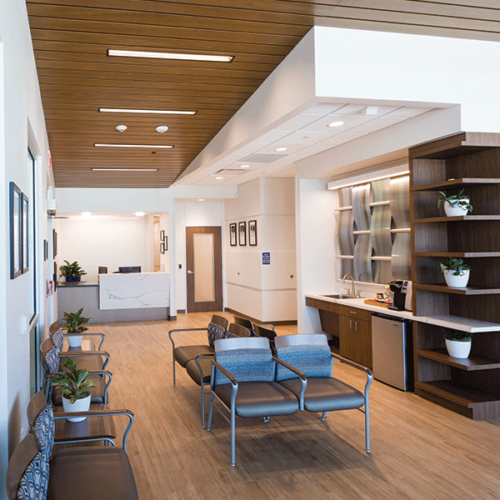 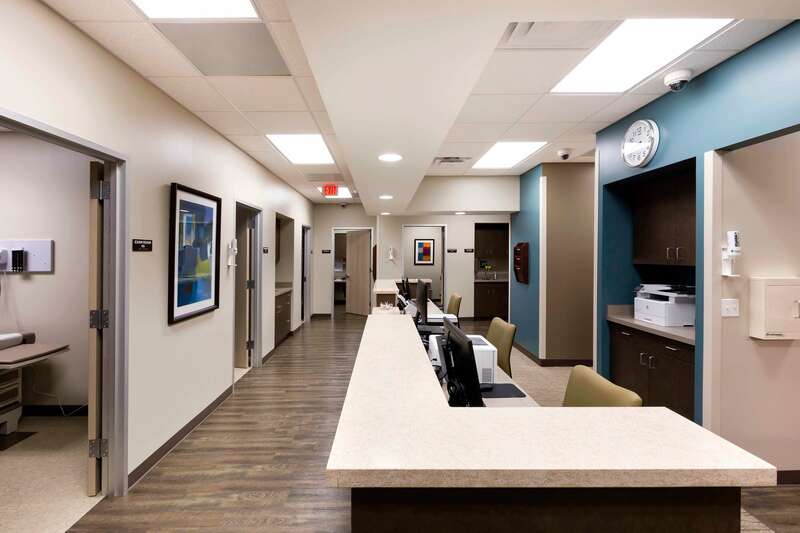 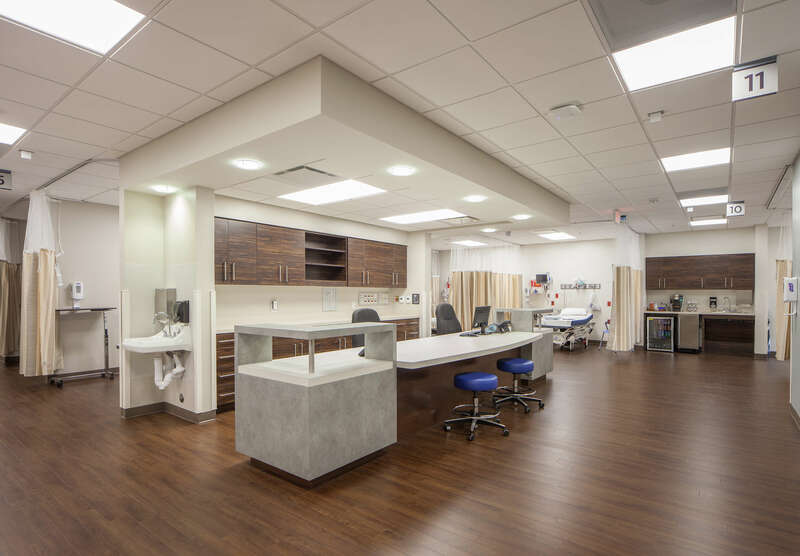 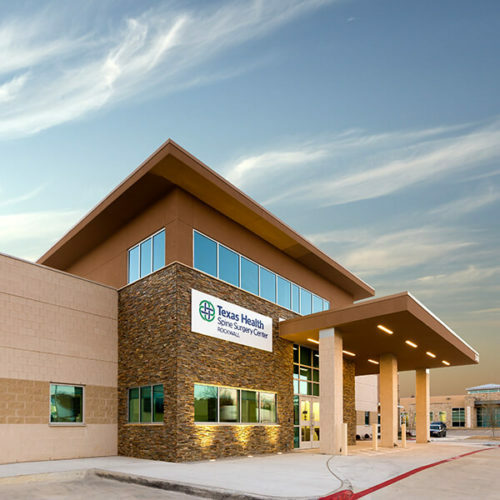 The surgery center is designed to provide a comfortable, stress-relieving waiting room with volume, natural lighting as well as natural finishes such as stone and wood that wrap into the main entry. 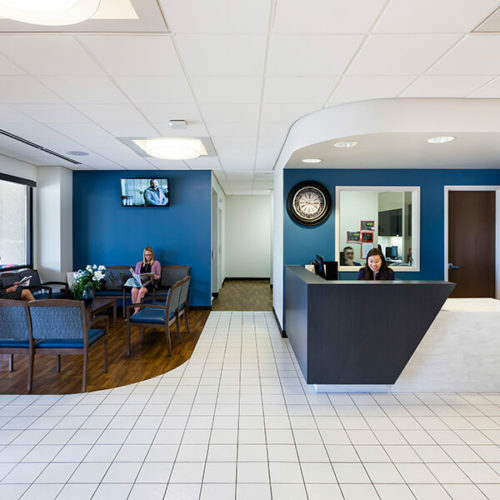 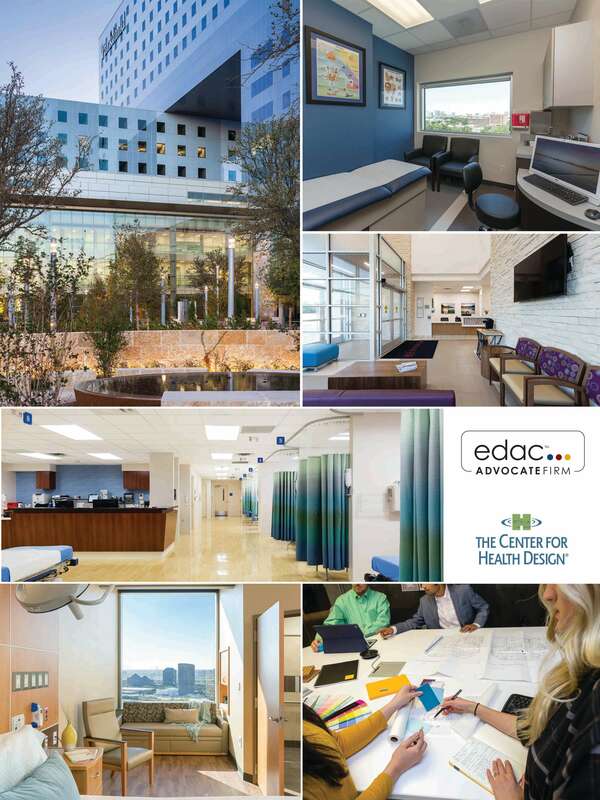 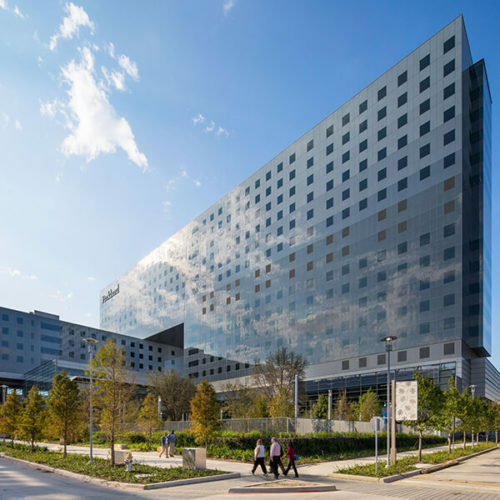 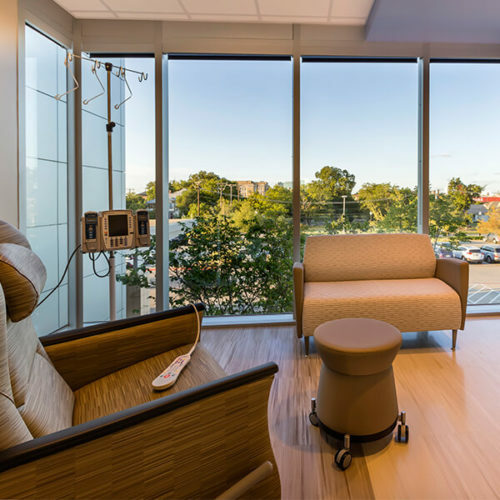 Corgan utilized natural lighting and spatial volume to provide a comfortable waiting space for patients and families. 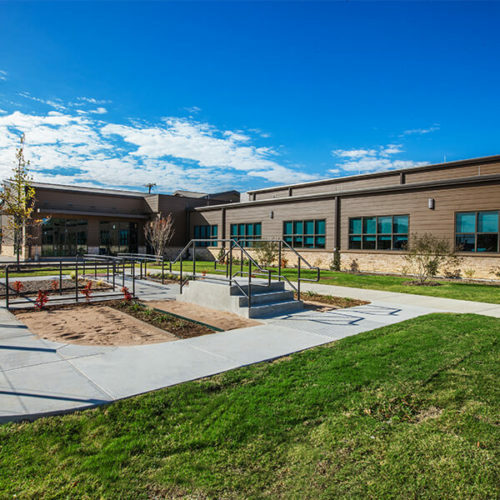 The use of natural materials such as stone and wood were used to provide texture and color contrast for visual interest and warmth. 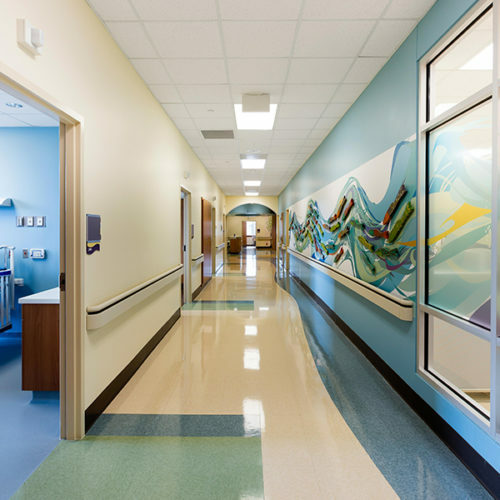 Floor and ceiling patterns accented the circulation paths. 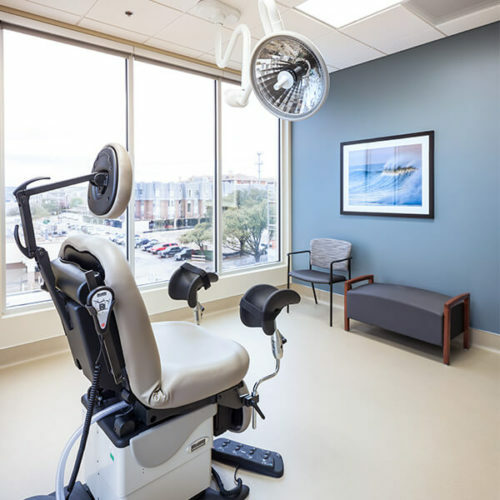 Nurse station resembles a conference table for staff collaboration. 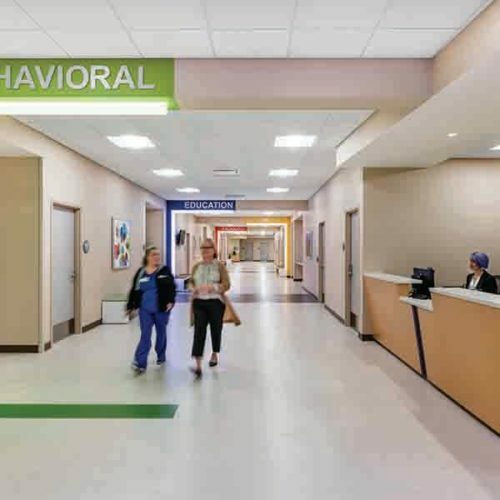 Accent pendant lighting fixtures provide additional points of interest at interactive spaces. 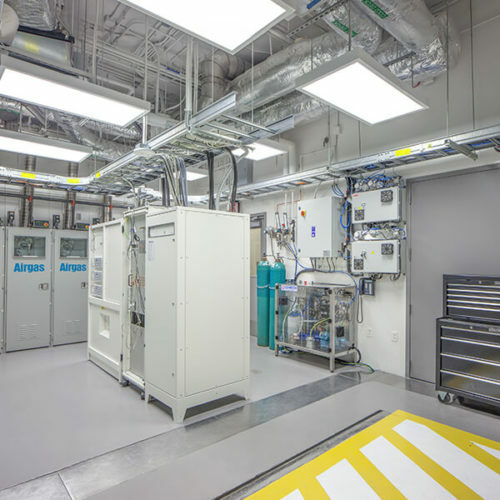 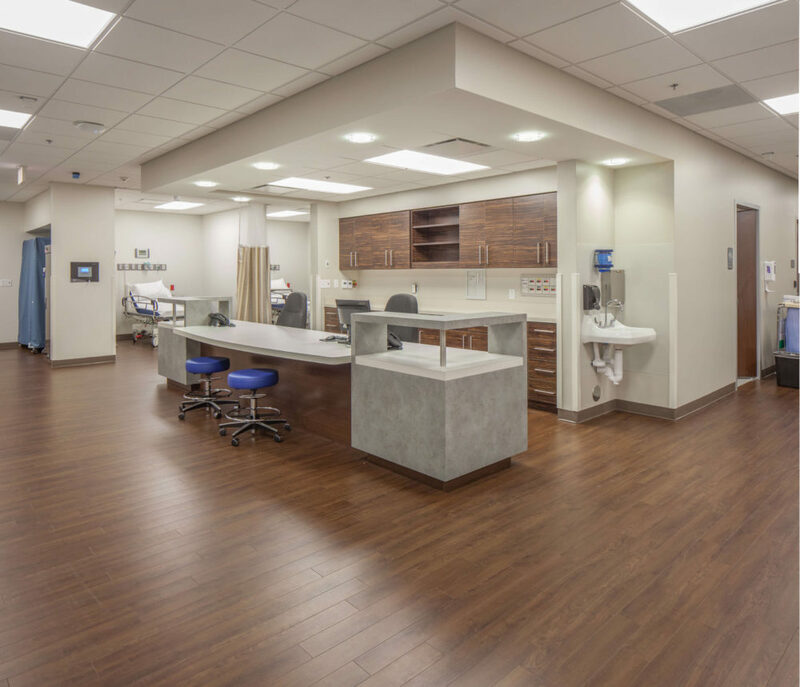 Physician dictation area is located to allow visual of the pre-operation areas so they can arrive at the OR at the appropriate time without requiring notification. 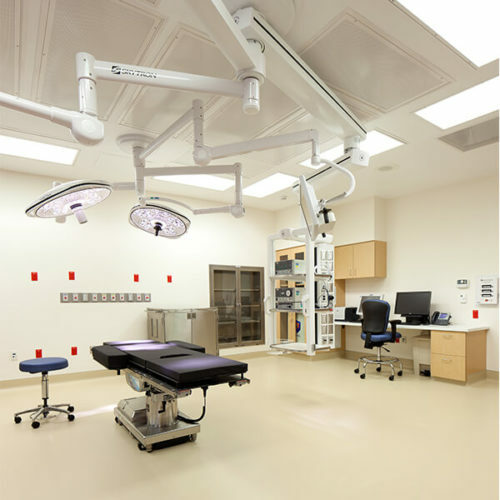 Separate-covered discharge area directly from PACU for minimized patient and staff travel. 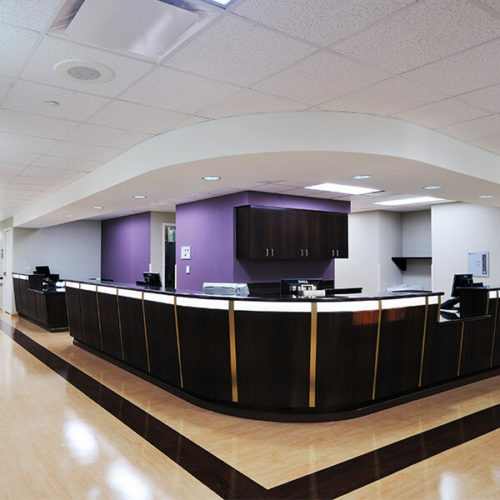 Finish colors and contrast are used in the pre-op and PACU for visual interest for patients, family and staff. 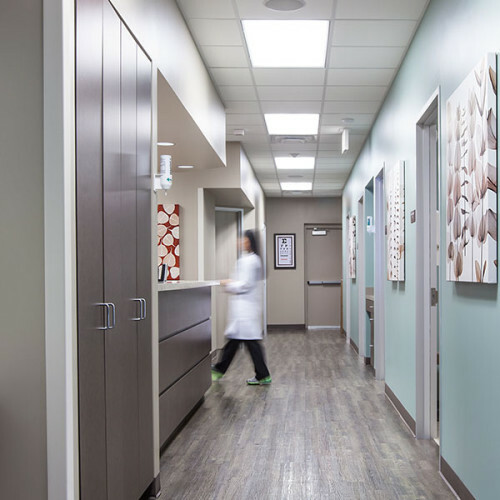 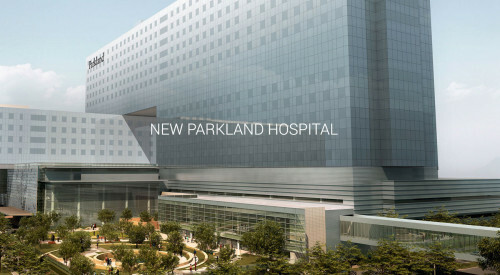 Convenient entry for physicians from parking through changing areas into the sterile areas.